George Rostron was born in Astley Bridge, Bolton on 22 June 1877. He was the son of James and Nancy Rostron, of Hill’s Gate, 309 (later 711) Blackburn Road, Astley Bridge, Bolton. His father, James Rostron, was proprietor of a bleaching company. He died in 1911. Georges mother had died in 1888. George attended Bolton Church Institute from 20th January 1890. He appears on the 1901 Census aged 23 as an overlooker in cotton spinning. Before the War he was manager of Chadwick’s spinning mills at Eagley. His eldest brother, Arthur Henry Rostron, had been Captain of the RMS Carpathia which played a leading part in rescuing the survivors of the Titanic in 1912. He went on to become Commodore of the Cunard Line. 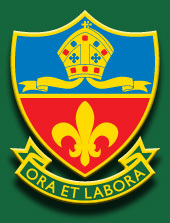 He had also been a pupil of Bolton Church Institute. George enlisted as Private 36988 in the 3rd Battalion, Cheshire Regiment in June 1916 at the somewhat advanced age of 39. In 1918, after a long period of rest and training, the 59th Division took over the front line at Bullecourt on 11 February 1918, with HQ being established at Behagnies. Much work was done in strengthening the line for defence against expected enemy attack. In The Battle of St Quentin the Division suffered heavy casualties from German shell fire on 21 March. It was probably in the northern part of this battlefield that George Rostron was killed during 21 March, perhaps as a result of the German barrage or in the subsequent infantry attack. George is memorialized on his parents' grave at Christ Church, Walmsley and on the James Chadwick & Brother Ltd War Memorial which also now stands in the grounds of Christ Church. 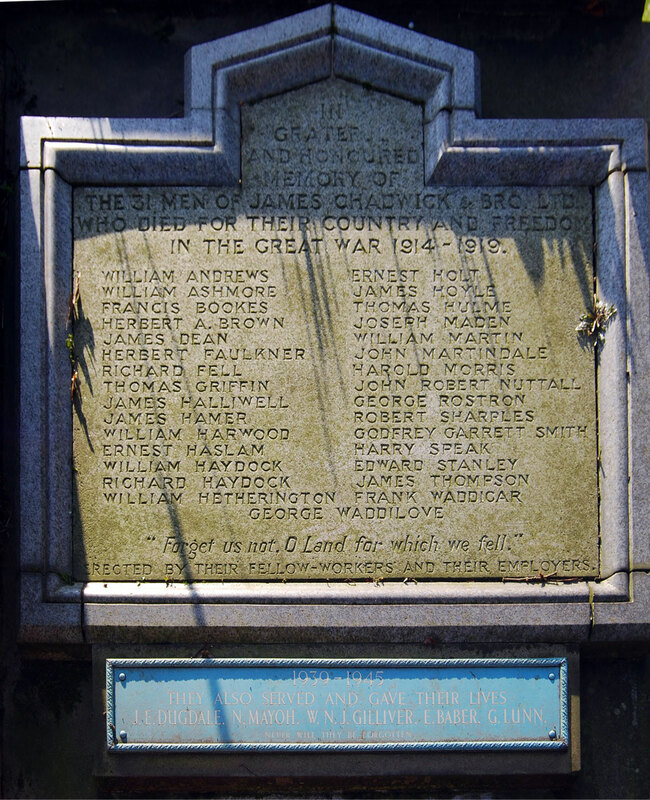 His name also appears on the War Memorial at St Paul's Church, Astley Bridge, Bolton. Intimation has been received of the death of a well-known Astley Bridge resident Lieut. GEORGE ROSTRON, Machine Gun Corps, youngest son of the late Mr James Rostron, 711, Blackburn-rd., director of the Bleachers’ Combine. The deceased officer enlisted in June 1916 and had only been at the front a short time. 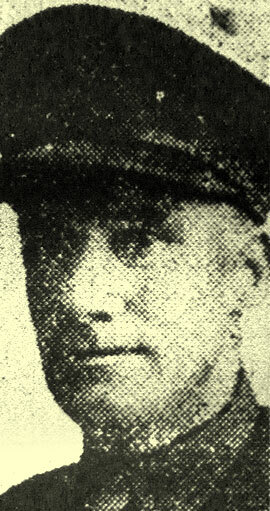 He is the brother of Captain Harry Rostron, R.D.R.N.R., who, it will be remembered, was the commander of the Carpathia, which raced to the rescue of the passengers of the ill-fated Titanic. The deceased soldier was formerly manager of the spinning mills at Messrs Chadwick’s Eagley Mills.